In light of Matterport Ecosystem announcement yesterday (Wednesday, 21 February 2018), a Member of the WGAN Forum writes (below) and asked me to post anonymously. S/he is seeking feedback on his/her deposit question. I'm working with developers of a LIDAR based HDR scanner but they're having problems convincing Investors that there is a market for a competitive and I must add superior camera due to MP market share. The new camera will provide a total solution for all those who no longer trust and want to take their scanning to the next level. My question for those MSP’s who would be interested in such a camera is the following. Would you be willing to pay a deposit of $1,000 which would be placed in an escrow account for a discount of $500 off the camera which will cost around $8,000 when it come to market in late 2018. We need to show the potential investors that there is indeed a market for the camera and the deposits would be a jester of good faith by potential purchasers of the camera. This camera will allow you to scan and shoot HDR images that you own outright with no middle man. There will be a small cost for assembling each model but you will have the option for the camera manufacture to host your models for a small charge or you or your clients can host them. This camera will free us from MP clutches as well as set each Professional Service Provider (PSP) apart to do far more commercial work with their Point Cloud and Mesh generated by LIDAR. This also means full use out of doors as it’s not IR dependent. This will open up unlimited opportunities for additional work for the PSP. Some of the initial features will be backup and restore of models, full editing of pano’s to including blurring of items in the pano’s for Google compliance, hotpoints and a whole lot more. We need some more details but I don’t think a down payment would be necessary. Major investors would accept written letters of intent too. In fact if this is legitimately true, I can provide them with letters of intent from large companies ready and willing to utilize this tech. I would consider it. I've been considering the Leica BLK360 purely because it can shoot outdoors. Are there samples of the end product to see before making such a decision? How are they enabling or getting round the wow factor of the dollshouse view which is quite a key sales hook? Only if the final product would give a walk thru solution similar to Matterport. After looking at lots of lidar/laser data collection and software all fall short on the end display. Effortless still falls short of viewer, nice point cloud but again I think short on final product for what we are looking for. They are NOT ready for us as of yet. They told me they hope to have all the bells and whistles ready by the end of the year. Hello.......if this LIDAR scanner.....can do outdoors, this opens huge possibilities. Is this camera too big to be flown on a 6 prop drone ? If so, this could replace the industry PIX4D Scanner technology. Before, when we looked at everything and bought MP, we looked at Aerial Scanning. Then we discovered that MP would not really work outside. We hate the look of 360 views, just not what MP technology provides, even just indoor views.......so if this LIDAR can do that...inside, outside...we would be very interested in making the investment. Final presentation cloud is everything, so if they fail in creating an attractive display, one that "WOWS", there is no market for them. Get it to fly, and you'll have my deposit now. Well I like product,price and data so I hope they build and combine photo walk thru similar to MP. I would not even care about dollhouse view. If it is Effortless3D or something similar, we would be interested to know more. Would this deposit be fully refundable? Transferable? etc.... Need more details. Oh and anyone at Matterport reading this, You have a chance to keep your MSP people if you work on being a better company to deal and be with. @RGO several YouTube videos of Faro mounted on drone for 3d point clouds. I have seen this and very impressive. Get this Lidar Scanner to fly on a drone, then you can seamlessly, fly over and around, drop down to the front door and go inside without all the gimmicks you have to do now from different media sources and edit skills. Did see the FARO before.....certainly not the MP market. $20K for the 3D Scanner....there are other versions as well. So there is interest in this camera if it makes the $8K level and can fly. Black360 and Effortless will be better option, lighter to use but distance of scan not as good. Oh ya I forgot photos not very good while flying. I am Interested for Sure. I just did a scan and my client was sent the Mport email to sell them a camera. Way out of line in my book. We all need a better solution. I want my work to be mine! It seems we all signed onto a one sided contract of Adhesion with Matterport. @DanSmigrod Count us in, pricked our ears up!! We would be interested if provided more information. @DanSmigrod OK so we have a person working with a developer but nobody wants to release the name or the company so how are you to stir up interest if we do not know who the company is. Ok I will point out that we use scanners, MP, cameras as a tool. You use the best tool for the job you have. I use scanners and have been doing so for about 5 years and have been following scanner development for about 7 years. I own MP use FARO and have used Leica. That being said I have not seen any scanner develop any software that allow a user view a project like MP. I like 3D laser data for architectural data for the engineer I would say there is no better tool for it and far superior to MP and if anyone thinks MP with the converting to point cloud a good tool I would disagree. I can control my point cloud data while processing way better than MP, since in MP I have no control of the processing only the capturing of data. But again to much technical data to debate. Back to topic what are you trying to use the tool for does laser scanners produce great point clouds yes. Does MP provide an excellent walk thru tour with photo quality viewing yes, that can be easily viewed by just about anyone yes. So if some company is developing a laser scanner that is producing photo quality viewing I would like to know who it is. I see the scanners produce extreme dense point clouds and even with the dense point does not produce a product a real estate photographer would use. As a customer I would not except it. So the nuts and bolts as I see it the big companies that produce scanner are not focused on producing a product we would use in general. I also do not see them working on or developing something we would use. MP focused on a product we use in general and do a good job of it. So again I would like to know the company because as a laser scanner if they did develop something and the price was right the market could be there even if they were direct competition to MP. Again just my two cents. 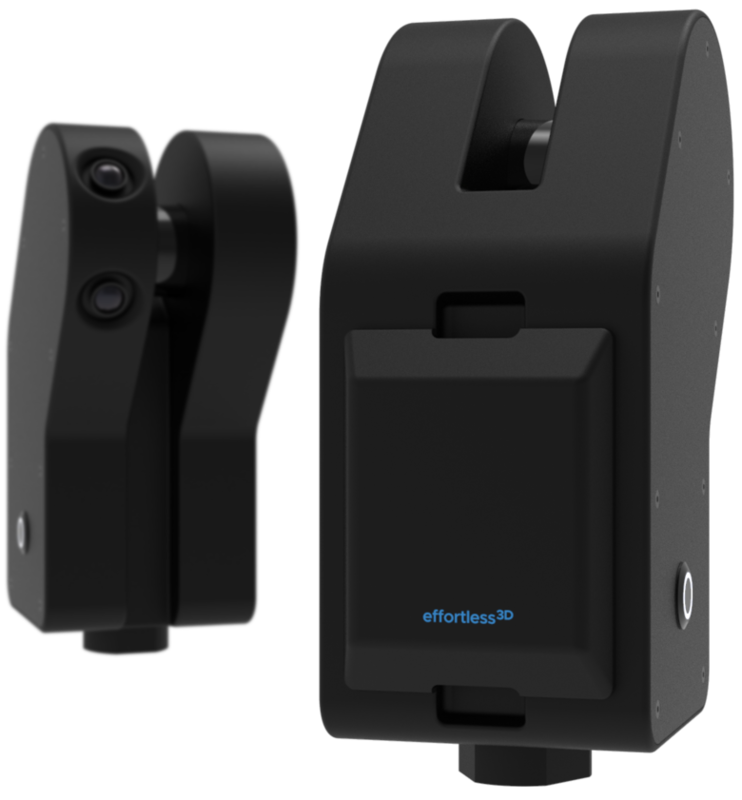 @ron0987 Take a look at the company in question (I think) EFFORTLESS3D clickable textNot available for sale yet, but provides a laser scanner (not LIDAR) Not sure that the quality of the pictures are as good Matterport or the scanner (20m range) is as good as Leica/Faro etc.